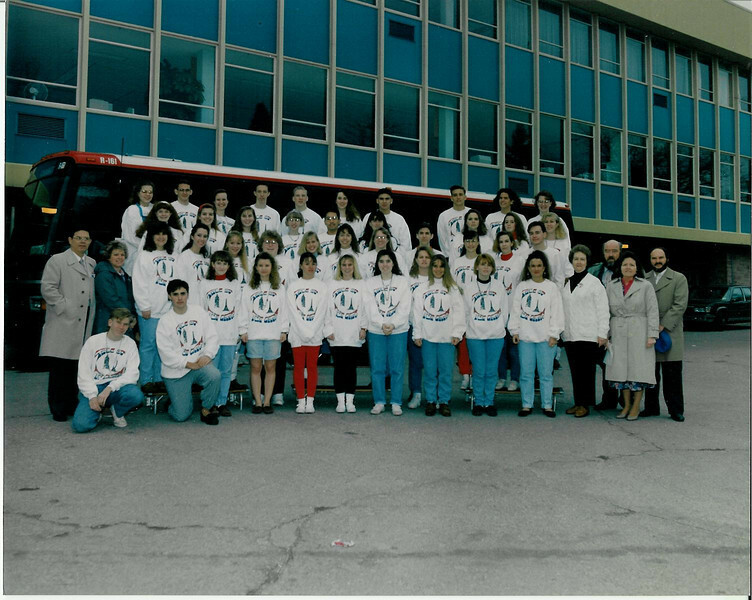 Moline High School French Club trip to Europe over Spring Break, 1992. We spent a couple nights in London before flying on to Paris for 5 days or so. The whole group in front of MHS before departure. I can't believe they made us wear those sweatshirts! They say "Tale of Two Cities"...get it?